In their personal relationship, if she's hard on her husband, it's because her expectations of everyone are high. But she's also a realist. When Michelle mentions Barack's flaws, it's to make a larger point – not to put the president on a pedestal when no one can fulfill all our fantasies. Both of them think that having one person in control of a problem can only cause more of the same. They see that leadership model as not the way to run a family - or a country. In discussions, Obama is not the only boss. He welcomes engagement and wants to be challenged. And that comes across in the role that Michelle plays. 1. Keep your expectations realistic. You may have very clear ideas about how you want your family to be. But realize that every member will have their own way of handling challenges, conflicts and disappointments. Don't think that what's a priority for you will be the same for everyone. And remember that the present state of affairs won't last. 2. Be willing to compromise. With a situation you can't agree on in a family relationship that matters a lot, take the time to understand both sides of the issue. Validate everyone's feelings and try to withhold blame. It's not necessary to excuse bad behavior, but show support for what they're going through. If in the past you have gone underground and then exploded later, don't let these feelings fester. Acknowledge the part that you play in the conflict and deal with it. Negotiating an agreement that both of you can live with is often the best way to move on. 3. Set long-range goals about what you want to accomplish as well as short-term objectives that'll help you reach them. These concrete plans provide the basic foundation and parameters for change in your partner, your children, your parents and yourself. As you successfully move forward, step by step, your self-confidence will grow. Ongoing action and a positive attitude will motivate you to stay on track and ultimately reach your family goals. 4. Look at your situation and decide what works for you. If you need some time by yourself, be sure to fit that into your plans. When you want to reconnect with your teenagers, plan outings that will appeal to both of you. If your parents are up to it, invite them on a family vacation. Your children will benefit from spending quality time with their grandparents. And it will give you free time and the chance for you and your partner to catch up without distractions. 5. Do what is necessary to maintain familiarity and continuity. If you nurture your family and stabilize their environment, they will feel more secure. The structure in their lives and the support you give them will relieve feelings of anxiety or stress. Children are resilient and, as you model positive thinking and hope, they will thrive. The rewards can be immeasurable for the whole family. 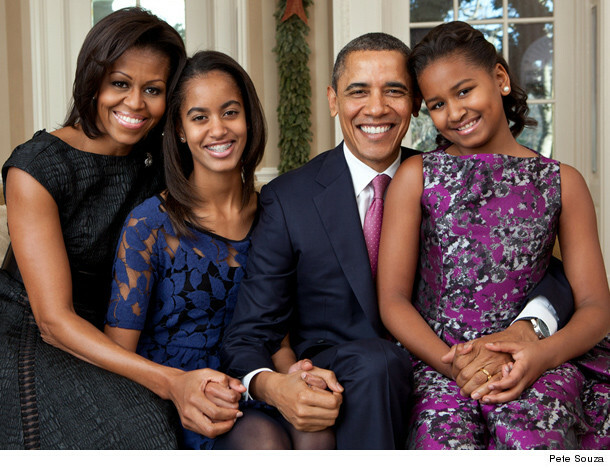 In this administration, with a protective mom in chief, one major focus on the home-front will be the first daughters. The goal of these devoted parents is to help the girls find their way in their new environment. And Michelle's mom is moving in for now, to provide a constant presence and keep the girls grounded. When asked about the relationship with his mother-in-law, the president, among other things, said: "I don't tell my mother-in-law what to do." Doesn't it sound like our new president is off to a really good start? Rosemary Lichtman, Ph.D. & Phyllis Goldberg, Ph.D. are co-founders of www.HerMentorCenter.com, a website for midlife women and www.NourishingRelationships.Blogspot.com, a Blog for the Sandwich Generation.They are authors of a forthcoming book about Baby Boomers' family relationships and publish a free newsletter, Stepping Stones, through their website. 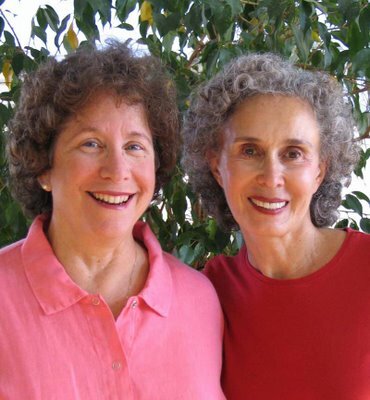 As psychotherapists, they have over 40 years of collective private practice experience.